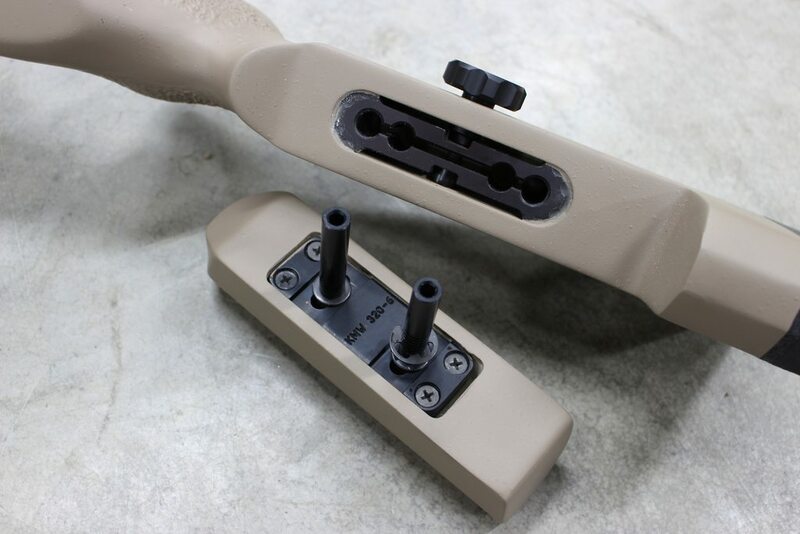 Introducing the TS Customs Quick-Adjust Knob for KMW Cheekpiece Hardware. 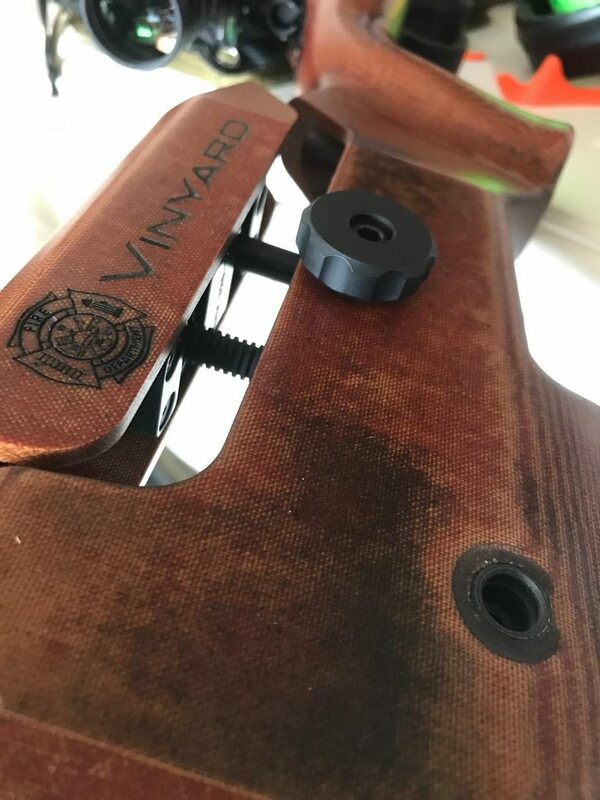 The TS Customs QA Knob was built to allow any users of stocks with KMW adjustable cheekpiece hardware to quickly and easily adjust or remove their cheekpiece without the use of tools. You will no longer have to hunt down that 3/16" allen wrench to remove your cheekpiece for bolt removal or barrel cleaning! The TS QA Knob is made of 6061 aluminum, finished in a hardcoat anodize with a grade 8 socket cap screw. 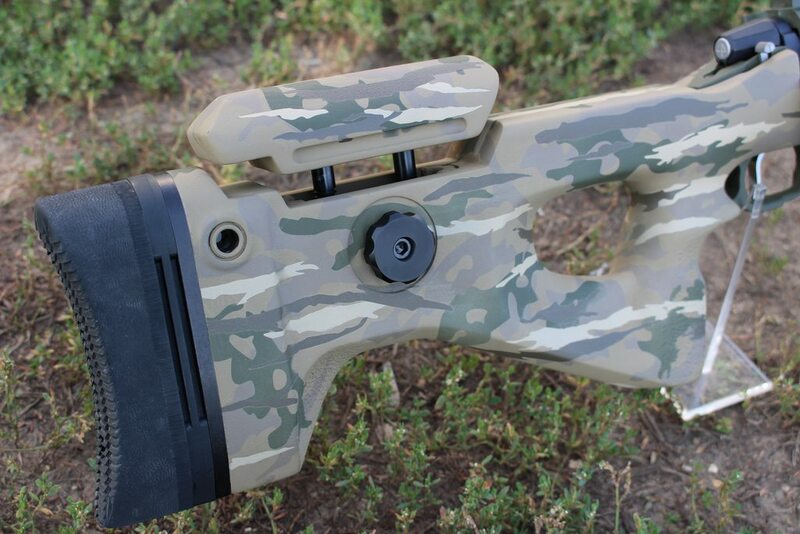 The TS QA knob will work with any KMW equipped stock. 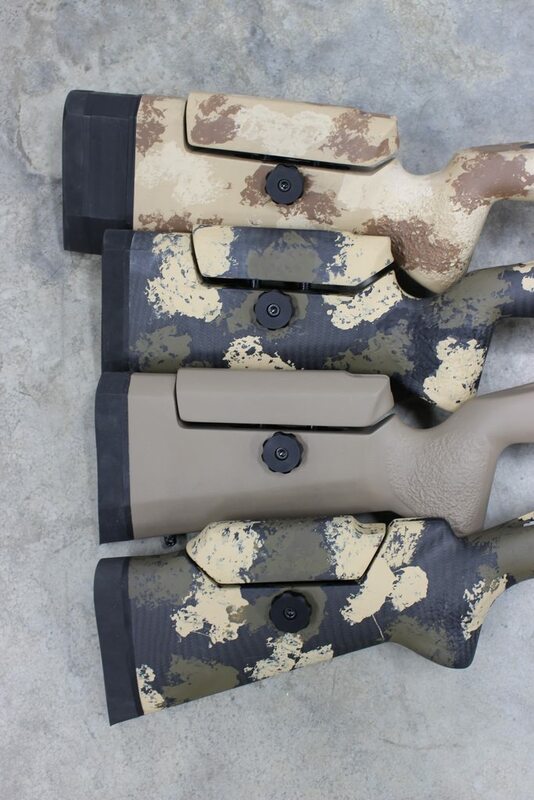 If your stock hardware looks like the below image, the TS Customs Quick-Adjust knob will work for you! 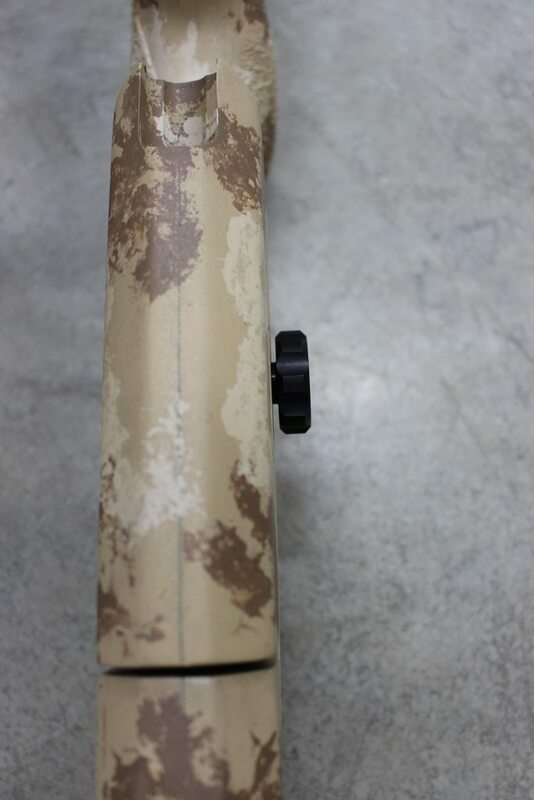 The size and shape of the TS QA knob provides good leverage for firmly securing the cheekpiece in the stock. 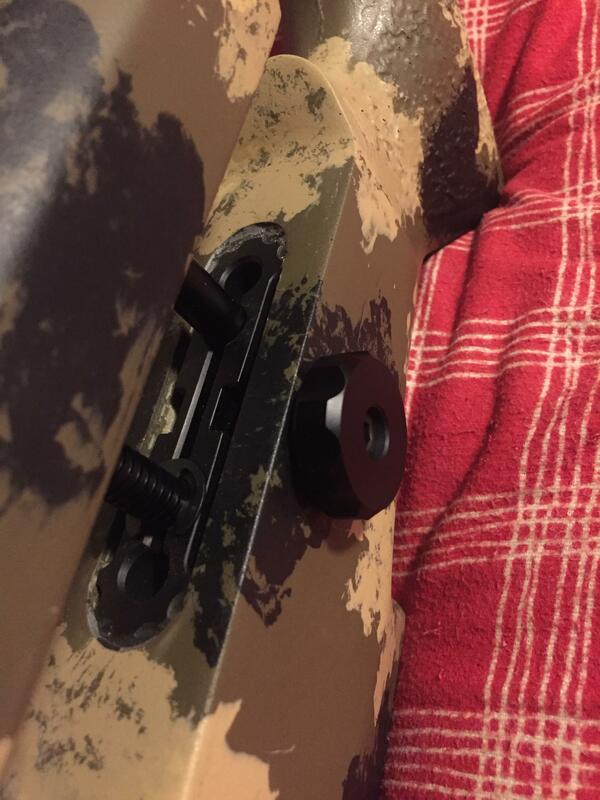 Chamfered edges and radius traction grooves keep the TS QA knob as low profile and snag-free as possible. Good job Travis.1 less tool to haul around. 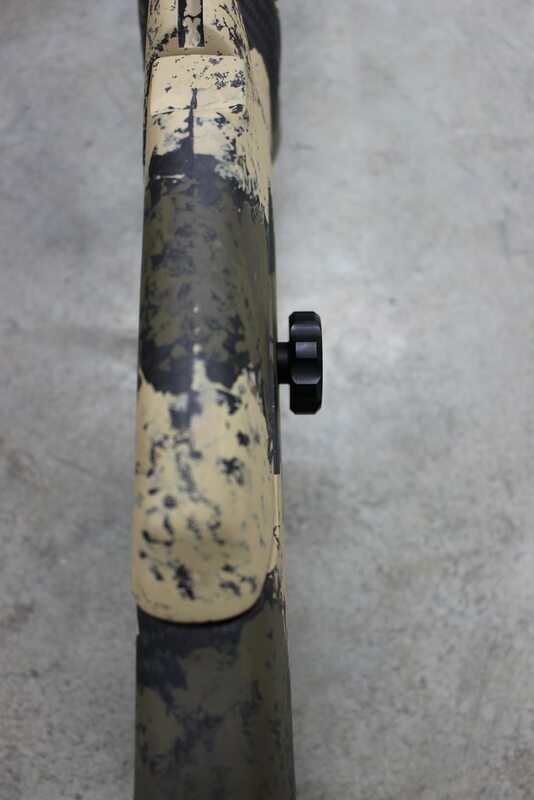 About 3-4 years ago I bought one from another company...screwed it on my rifle...and immediately knew that it would be a problem. It stuck out quite a ways from the stock. Your design is much sleeker and should work much better. Perfect fit. Very slim against the stock. Good design. Thanks! Can the KMW hardware be added to any stock? Has anyone here done it themselves? I was looking at either a Boyd's or a Grayboe. I have a bandsaw and forstner bits for my drill. Proper layout would be the tricky part. @hypo You'll spend more, do a worse job, and be taking plenty of risk as opposed to just having @tscustoms do it. I know he can do it if you have a stock ordered with an adjustable comb and specify your own hardware. Though I'd wait to get @tscustoms advice here before doing anything. 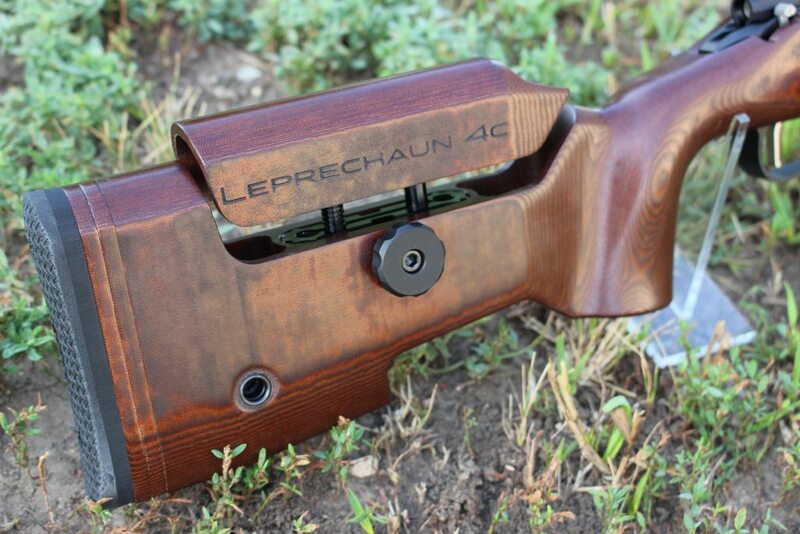 I think by the time you buy the stock and the kwm hardware you will be close enough to a mcmillian or manners that you will not want to mess with adding it to a non adjustable stock. 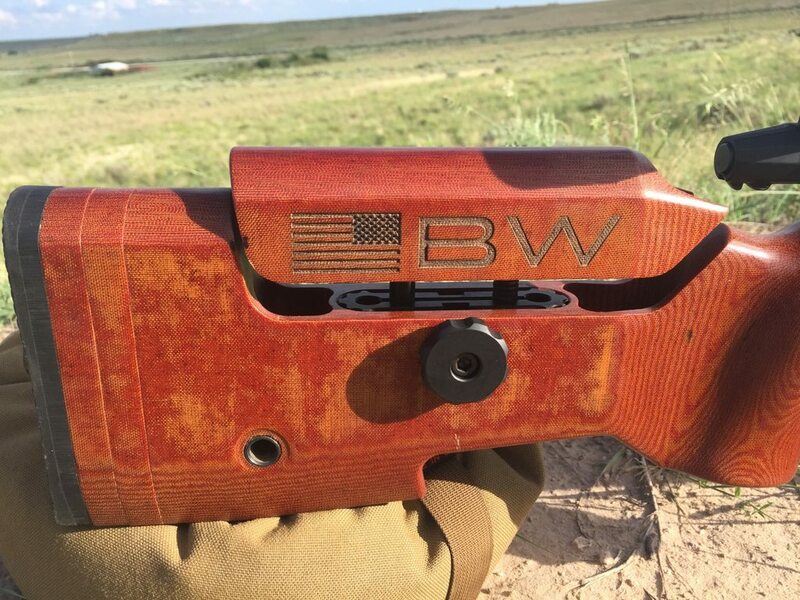 Paying to cut, shape, and refinish a different stock, then pay for the hardware, inletting, and installation would have you way too close to just ordering the right stock. Travis - Great job on the knob. Received mine and as always, Greg and Josh were great with the service. Thanks @pizfiz! Always a pleasure.